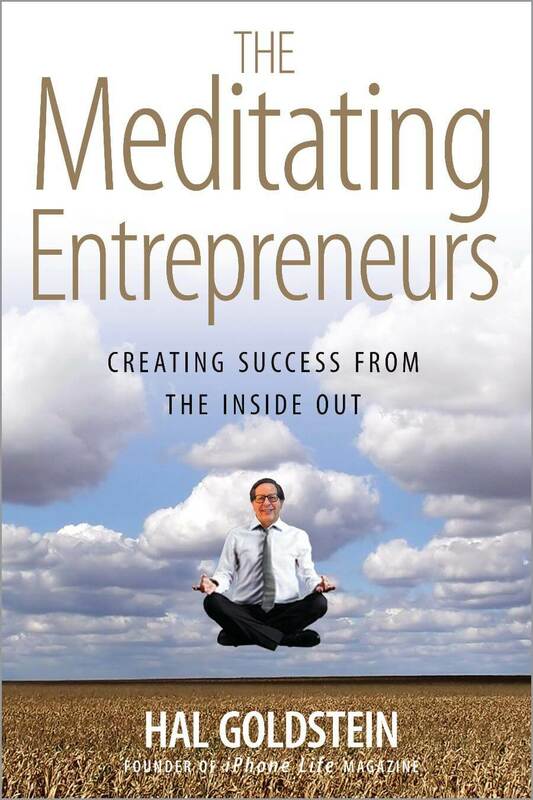 In March 2014, I decided to write The Meditating Entrepreneurs. 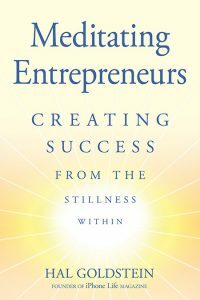 It is about the journey of fellow Transcendental Meditators who moved to Fairfield, Iowa, to help create world peace, and who ended up starting successful businesses. Shortly afterward I decided, I discovered Michael Hyatt. His book, Platform: Get Noticed in a Noisy World along with his blogs, and his podcasts made it clear that if significant numbers were going to read my book, I had to create a platform and attract a following. Studying Michael and others, I changed my focus. Before, I viewed writing the book as the way to share my message. 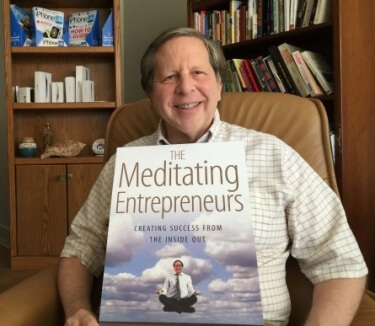 After studying Hyatt, I realize in today’s interconnected, multimedia world, it is my entire platform (website, book, blog, social media, podcast, videos) that will allow me to most effectively share the stories of Fairfield meditating entrepreneurs living 200% of life, 100% material, 100% spiritual. Michael offers a treasure of free information. I’m particularly inspired by his podcasts. I was so impressed that I joined his Platform University with its affordable $30 a month fee. There, Michael interviews great guests such as those mentioned above, and goes deeper into how to create strong content that attracts followers. 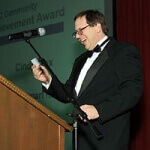 A platform builder community discusses issues in active Platform University forums. I continue to be blown away by John Lee Dumas (JLD) and his contributions to anyone wanting to become an entrepreneur. Every day, seven days a week, JLD interviews an entrepreneur – some famous, some unknown, some fabulously successful, some getting started, all with something to offer other entrepreneurs through their stories and services. Just listening to roughly 10% of the over 1000, 30-minute interviews, I became exposed to some incredible people and entrepreneurial services. For example, I heard Dan Norris and Alex McClafferty on Entrepreneur on Fire discussing their support service, WP Curve, for WordPress users. I’ve had websites for my businesses since the 1990’s. Although today’s tools make web development and content creation considerably easier, there is still much to master. Fixing a display problem, tweaking the look of a site, adding some new function can be painful and time-consuming for the small entrepreneur. For someone like me, comfortable with technology, it is easy to spend hours of time on my site making a tweak or fixing a problem, time that would be better spent creating content. For less than $100 a month, WP Curve, on an unlimited basis, will fix problems, take on small projects, and make sure your site stays secure and fast. Just submit a job anytime day or night and WP Curve completes it in less than a day. I use their service for this site and am pleased. The first three weeks, I had so many accumulated wishes that I often used WP twice daily (one request allowed at a time). Now, I make requests only on occasion, but it is worth it to have the support when I need it. WP Curve is also proactive, checking this site and making suggestions. One of the things I really appreciate about JLD (and as it happens WP Curve) is the posting of financials online with monthly posts and podcasts analyzing the results and lessons learned. This is a marvelous teaching tool, and I applaud JLD for opening up his fast-growing, incredibly successful business to public scrutiny. 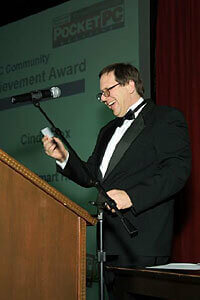 The largest stream of income of Entrepreneur On Fire comes from Podcaster’s Paradise, of which I am a member. Even though I joined over a year ago, I embarrassed to say I have not taken advantage of the many tutorials, guest webinars, and community. I joined because I definitely plan to podcast, and knowing that I already invested will help motivate me to start. Further, the pricing for the lifetime membership keeps going up. If I joined today, I would pay about 50% more. To get a hands-on, practical taste, about podcasting, JLD offers free podcast and webinar training courses. In preparation, for this post, I spent several hours on the Entrepreneur on Fire podcast page going the through overviews of the over 1000 podcasts, and downloading more to listen to. What follows is a list of people who I recommend entrepreneurs become exposed to. They were almost all interviewed by JLD, although I became aware of a number of them through other avenues. See chart below for names, website, and JLD interview number.